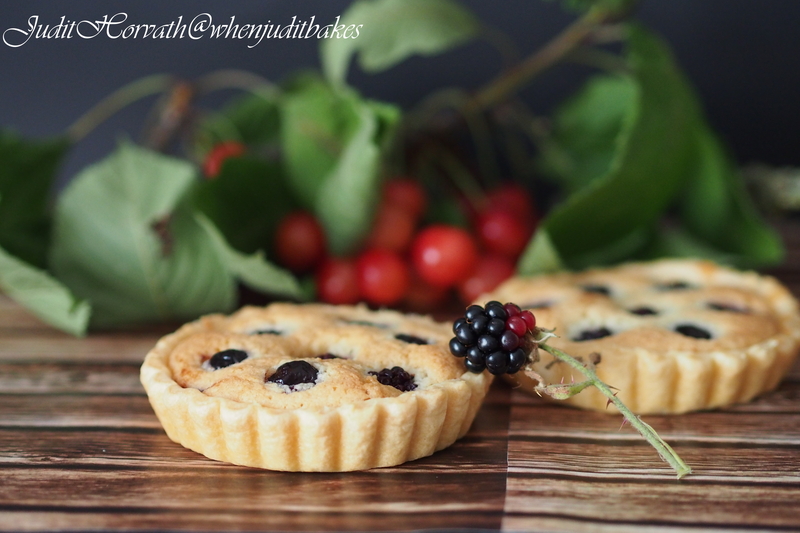 Foragers’ Wild Cherry and Blackberry Madeira Mini Tart | When Judit bakes...bread and better..
Blackberries are not actually berries, but are instead an aggregate fruit. Blackberries are formed from several individual seeded fruits that are attached to a single core. This design allows blackberries to have a high skin and seed composition which contributes to their high nutritional content. Blackberries are high in dietary fiber. Blackberries are rich in antioxidants. They have anthocyanins, which will work to prevent the effects of aging, cancer and neurological diseases. They also help to fight diabetes and bacterial infections. Some researchers say that blackberries, also known as black raspberries, have one of the highest antioxidant contents of any fruit. Not only is the fruit high in antioxidants, it is high in a variety of other nutrients that can help a person reap a variety of positive health effects involving the entire body, not just one system. The seeds of blackberries are rich in Omega-3 fatty acids that are known for benefiting cardiovascular health by eliminating harmful cholesterol from the bloodstream .Consumption of blackberries can help to promote the healthy tightening of tissue,which is a great non-surgical procedure to make skin look younger. Prolonged consumption also helps keeps your brain alert, thereby maintaining clarity of thought and good memory. 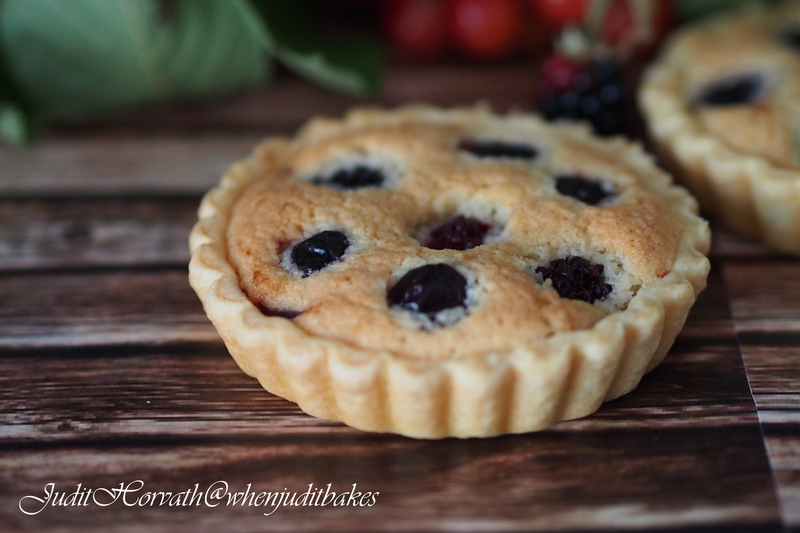 A royal way to consume these little treasuries of goodness, is in an elegant, neat and sweet mini tart. Place a heavy glass ramekin into a deep stockpot. Fill the ramekin 3/4 full with water to weigh it down. Place rose petals or herbs around the exterior of the ramekin in the bottom of the pot and cover with water halfway up the side of the ramekin. Place a shallow bowl on top of the ramekin. Bring the water and rose petals to a boil. Lower heat to simmer. Place a stainless steel bowl on top of the stockpot (it should be large enough to seal the pot, but shallow enough so that its bottom is above the top level of the soup bowl). Fill the top bowl with ice. Simmer the mixture 3 to 4 hours, depending on the amount. As the mixture boils, the heat rises and hits the cold bowl, causing it to condense and drip down into the inner bowl. Replace ice as needed, as it melts. Stone the cherries and place the stones in a large saucepan. Peel, core and thickly slice the cooking apples, then sprinkle the slices with the lemon juice and set them aside. Add the apple trimmings to the pan with the cherry stones and pour in the water. Bring to the boil and cook, uncovered, until the liquid is reduced to about one third of its original quantity. This will take about 1 hour. Press the resulting pulp through a fine sieve and return it to the rinsed-out saucepan. Add the prepared cherries and apples and bring the mixture to the boil. Cover the pan and simmer gently, stirring occasionally, for 10 to 15 minutes, until the fruit is soft. Pour in the sugar and heat gently, stirring, until the sugar has dissolved. Bring the jam to a rapid boil and boil hard to setting point. Stir in the butter to disperse any scum and pot the jam into warmed jars. Cover the surfaces with waxed paper discs, waxed sides down, and allow to cool. Combine flour, butter and sugar in a food processor. Process until mixture resembles fine breadcrumbs. Add yolk and chilled water. Process until dough just comes together.Turn pastry onto a lightly floured surface. Knead until just smooth. Shape into a disc. Wrap in baking paper and refrigerate for 30 minute. Shape the mini tart cases as usual and prebake. Pre-heat the oven to 180C. Cream the butter, rose oil and sugar together in a bowl until pale and fluffy. Beat in the eggs, one at a time, beating the mixture well between each one and adding a tablespoon of the flour with the last egg to prevent the mixture curdling. Sift the flour and gently fold in, with enough milk to give a mixture that falls slowly from the spoon. Fold in the lemon zest. 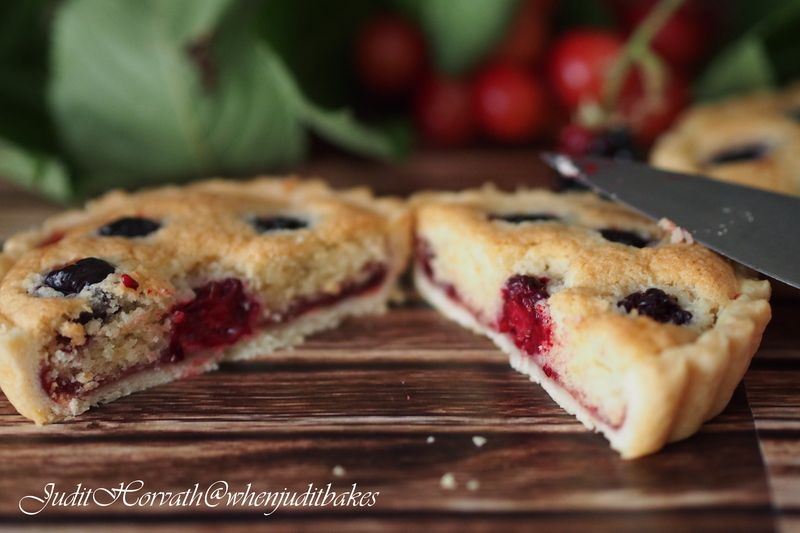 Spread a spoonful of wild cherry jam on pre-baked tarts and spoon the mixture in lightly under the level of the top. Decoratively place pitted wild cherries and blackberries on the top. Bake on the middle shelf of the oven for 30-40 minutes, or until golden-brown on top and a skewer inserted into the centre comes out clean. Remove from the oven and set aside to cool in the tin for 10 minutes, and then turn it out on to a wire rack and leave to cool completely. 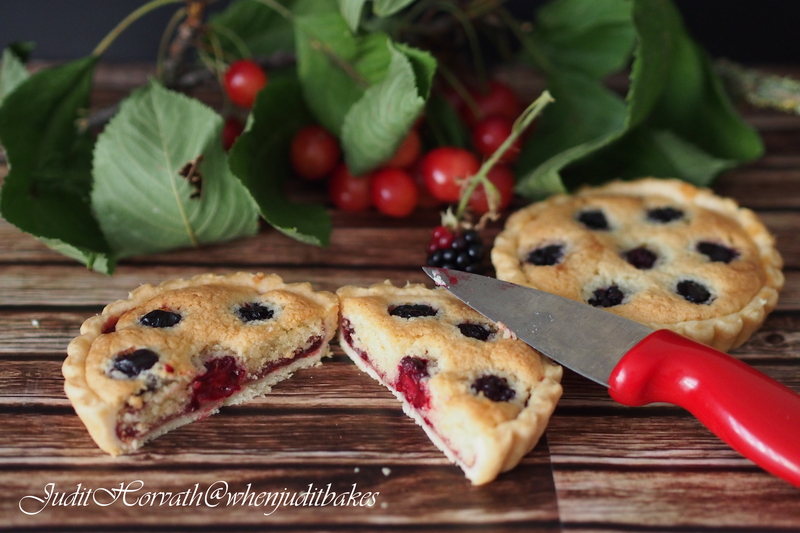 This entry was posted in Baked treats, Cakes, Just Everything, Tarts, Treats for Life and tagged black raspberries, breakfast, dessert, food. Bookmark the permalink. These look incredible-I can never get my pastry to look that perfect-what is your secret? Thanks for the compliment and for reading! My secret ingredients are the good quality, the cold temperature and speed. This means cold water, cold butter, cold hands, cold resting before and after shaping, good quality butter, good quality, not just any type of flour and the least handling! 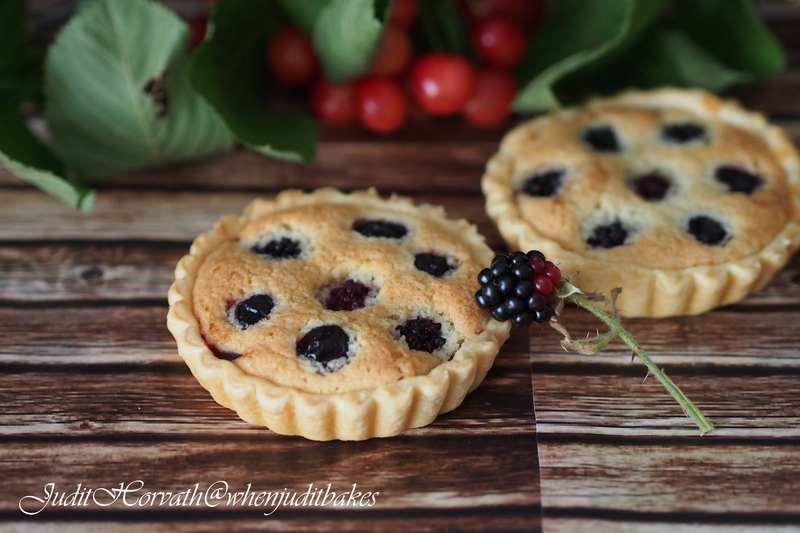 Good luck 😉 J.
mmm!…these tarts look so delicious and beautiful! Thank you very much for the lovely compliment and of course for following my blog. I hope I can keep pleasing you! J.
Hello! Do you utilize Twitter? I’d prefer to follow a person if that might be ok. I’m unquestionably enjoying your site and anticipate new articles. Hi! Thank you very much for the kind comment and for reading my posts! I do not use any other social network sites for various reasons but please keep reading even if you do not follow 😉 J.
Pingback: Recipe Demonstration Live on Stage at Cake&Bake Show in London | When Judit bakes...bread and better..